Accueil / Catalogue / Sciences humaines / Politique/Actualités / C'est fou comme t'as pas l'air d'en être un! 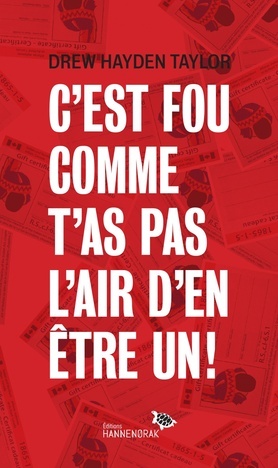 C'est fou comme t'as pas l'air d'en être un! Drew Hayden Taylor is an author, columnist, filmmaker, lecturer, and an acclaimed playwright. He is a member of the Curve Lake First Nations (Ojibwa) in Central Ontario, where he lives when he's not traveling around the world. Visit his website at www.drewhaydentaylor.com.